In last post I described the pro’s and cons for buying a smart phone directly in China. If you search other blogs about this subject, you will find many blogs about the problems you may encounter. But buying a phone is not rocket science! If you do your homework, you can find very good Android phones for a very reasonable price. 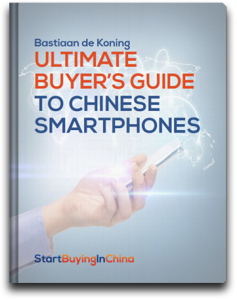 To help you I created 10 steps you must take when you want to buy a Phone in China. And when your friends ask you how much you paid for this phone, they will probably be blown away. 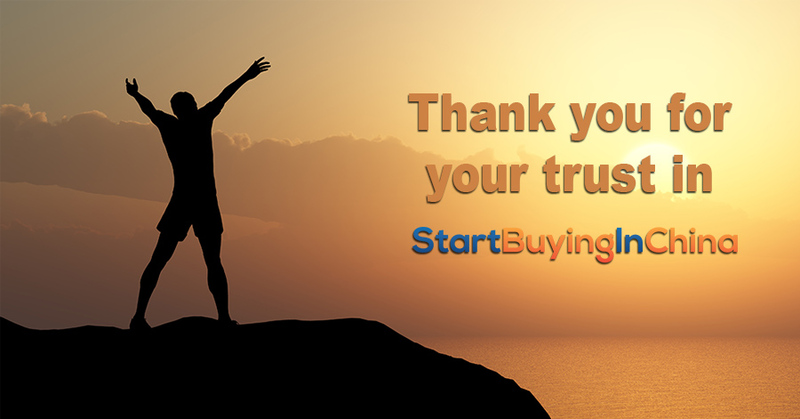 I started with StartBuyingInChina to inform people about reliable Chinese shopping sites. And especially when it comes to expensive products like phones, tablets, Xbox etc etc there are many scam sites. These sites have one goal. Getting your money and never deliver any product. This is why I make ‘select your shop’ step number one. I cannot say it often enough. If it is too good to be true, it is NOT true. Start your search at a trustworthy shop. You can start by this list blog title. These shops are real shops. Or select one of these shops: TMart, ChinaBuy, DealExtreme of BangGood. The shop must be a well known shop. The shop must give a 100% guarantee you get a working product. The shop must have a good and available customers support in case of problems. If you have any doubts about the shop, check this blog about fake shops. If you still have doubts, leave a comment at the end of this blog. I suppose you want the best quality phone for the lowest price with the best customers support? At least that’s what I want! And guess what? This is very well possible! But first define what quality means to you. Do you want a smart phone that is as smooth as Samsung, HTC or Apple? Than you might need to raise your expectations of the price. You will not find this for 50 bugs… And if you want simply the lowest price, you might lower your expectations of the quality or the customers support. If you care about a 1 year warrantee, you might search for a shop with probably a higher price. How much do I want to spend on my new phone. Write down a number. This will be the average of all your expectations. Within this budget you must find the quality, price and support you want. It would be easy if this was all. There are 2 more costs you must calculate. And these costs differ for every country. First the shipping costs. Depending on the price of your phone choose a reliable company like DHL. This will raise the price of the phone with a maybe 30 USD. But it is more safe and often faster too. If you want to read more about avoiding VAT and duty costs, I wrote a complete chapter about this in my ebook, click here. In the previous blog I mentioned almost 50 Chinese brands. There are probably more than 100 different brands of Chinese phones. With most of the brands I have no clue whether it is good or bad. And I doubt there is anyone in the world who knows all these brands. Most people rely on other people’s opinions. And I am no different. I read what other people say about a specific brand. I check for the availability of the brand in different stores. The more the product is available, the more it is known, and the better their quality and support will be. Like manuals and support in English. Unless you are very adventurous, don’t go for an unknown brand. You don’t want a phone with a Chinese written manual or – even worse – menu. It’s time to do the fun part. Select your phone. Search through all the models and pick you favorite. This part of this step is easy and fun. It gets more serious when I say you must do your own research. Read the user reviews written with this product. Do a Google search for ‘your brand model experiences’. Check other shops if they sell the same model and read the users reviews on these sites. Maybe you can find test reports about the model. If you do, check if it is a paid review or not. Go for the independent forums. Don’t solely trust on the advertisers answers and opinion. Their goal is to sell this phone to you plus all the extras. Your goal is to find the best model within your budget. A phone is made to work with certain frequency bands. These bands differ in all countries. If you buy a phone that does not work in your country, the phone is useless (as a phone). That’s why you must check this, before you go further. Frequency bands are used between the phones and your operator to send data to each other. This is data like your voice, sms, mobile Internet. Let’s say, everything you use to communicate. In general phones uses 3 ways for data transfer. This is rather technical, but I simplified it for the purpose of this article. Check for the following specifications to be on the safe side. 4G: LTE: start check your operator which bands are used (if used) then check the phone specs. GSM is the global standard for mobile communications with over 90% market share, and is available in over 219 countries and territories. 2G GSM networks operate most in the 900 MHz or 1800 MHz bands. In countries where these bands were already allocated, the 850 MHz and 1900 MHz bands were used instead (for example in Canada and the United States). –> Check if the phone has GSM technique and uses the frequency bands 850, 900, 1800, 1900 MHz. You are on the safe side. 3G or UMTS is used to send mobile data. It can be used for speech data as well. Mobile internet is used for all kind of apps like messengers like WhatsApp, SnapChat, Facebook, Maps, Email, weather reports etc etc. If you want to use these apps on the road (without WIFI) and if you are paying your operator for this, you want to be sure this technique works. Warning: TD-SCDMA is a standard only used in China. If a phone only has this specification – and you do not live in China – skip this phone. This phone is made for the Chinese or Asian market only. –> W-CDMA is the dominant international standard. Be sure your phone has this specification! The W-CDMA works with different frequency bands than GSM. That’s why you need to be sure your phone also works with the 3G frequency bands in your country. Asia, Africa, Oceania works with: 2100 and partly 850. If you buy a phone with specs W-CDMA 850-1900 it will not work in Europe. You can find a lot of phones with 850, 900, 1800, 1900. These phones work in most parts of the world. But double check if you don’t live in Europe or America. 4G or LTE is the new standard for high speed mobile internet. Most Chinese smart phones DO NOT SUPPORT this technique. You need to search for a phone that can. Even an iPhone might not work in your country with your operator. If you found model capable of using LTE, you need to check the frequency bands again. There are many different possibilities. This is very complex to explain here. The easiest way to start answering this question is to ask you operator if it offers LTE and which frequency bands are used. With this information you can check the phone specs. The LTE standard covers a range of many different bands, each of which is designated by both a frequency and a band number. In North America, 700, 750, 800, 850, 1900, 1700/2100 (AWS) and 2600 MHz (Rogers Communications, Bell Canada) are used (bands 4, 7, 12, 13, 17, 25, 26, 41); 2500 MHz in South America; 800, 900, 1800, 2600 MHz in Europe(bands 3, 7, 20); 1800 and 2600 MHz in Asia (bands 1, 3, 5, 7, 8, 11, 13, 40); and 1800 MHz and 2300 MHz in Australia and New Zealand (bands 3, 40). As a result, phones from one country may not work in other countries. Users will need a multi-band capable phone for roaming internationally. This iPhone clone has 2G GSM. It has limited 3G possibilities. The phone works in America on 3G only with 850 MHz and in Europe and Asia with 2100MHz. Check your operator to see if it will work in your country. This ZOPO phone has LTE possibility. Check your operator if it supports FDD-LTE and if needed check the vendor what frequency bands are integrated. The title says EU-standard. Don’t count on it that it will work with your operator. Check, check and double check! This is another fun part. What do you expect from your smart phone? It is all up to you. I like to point out three items you must give your attention. Phone manufactories want you to believe the model is top of the bill. This results sometimes none existing features. Don’t fall for the specifications just because it is written below the phone. If you read something you do not believe immediately, check the reviews or do a Google search for this feature. The latest version of Android is currently Kit Kat 4.4.4. There is a wide variety of Android version on phones. Some phones still use Gingerbread (2.3), 56% is using Jelly Bean (up to 4.3) and only the newest are using Kit Kat (almost 18%). Read more. The manufactory of your phone decides if it will provide updates for your phone. With the high end phones this will be no issue. But with the lower end phones and unknown brands you might got stuck with the Android version that was first included in your model. If you want to download apps through Google Play, the Android version must be 2.2 or higher. Keep in mind that the newest apps might not work with the older Android versions. The touch screen is an expensive part of the phone. It will be very annoying if the screen isn’t working properly. Read the reviews about the phone to see if there are any issues with the phones touch screen (See step 4). The battery life of a phone can be a real nasty problem if it drains to fast. Check the specs if it will last for 24 hours at least with normal use. And again, read some reviews about the phone on this issue. Step 7: Does the shop have an UK , USA or AUS warehouse? This step is connected to step 2. In step 2 I described how to calculate your budget. Within this budget there is a part for Duty and Taxes. Some larger online Chinese shopping sites have an oversea warehouse. These warehouse can be located in the USA, UK or Australia. The products in these warehouses are already imported to these countries. This means the duty and clearance costs are taken care of by the vendor. And probably the VAT also. If you live in the USA, European Union or Australia it can be profitable to look for phones that are stored in these warehouses. But don’t expect that much choice. You will find the bestsellers in these warehouses. DealExtreme has support for USA, Australia and EU. AliExpress has some products in UK and USA warehouses, but it’s difficult to find. Step 8: Is the phone certified in your country? Most countries give certifications for electronic products. Codes like A-Tick (AU), FCC (USA)or CE (EU). Most Chinese phones do not have such a certificate. Even when the manufactory writes it has these certifications, you can not rely on that. It is easy to write, and hard to get. To get a certification it may cost the company 100.000 USD per model. Saying you have is much cheaper ;-). A phone without the correct certification is formally not allowed in your country. If you order it, it might slip through the borders. I haven’t heard yet about people who didn’t get their ordered phone because of this reason. But don’t order large quantities of uncertified phones, you are not allowed to sell them in your country. If you want to be sure, ask for a copy of the certificate. If you want to read more about certifications, check this older article from 2006. Check if your phone is in stock. You don’t want to know how many people are frustrated because their phone is not available. Maybe it is temporarily out of stock? But for how long? Maybe you bought in a pre-sale and the phone isn’t assembled yet? Maybe you bought an old model that will never be in stock again. You do not want to start a discussion about the delivery of your chosen phone after you have paid for it. The vendor is not happy to pay back the money. They will tell you to wait or will offer you alternatives you might not want. Be sure the vendor has enough pieces in stock. So by now you have selected your vendor, your phone, you are sure it is working in country, it is within your budget, you read customer reviews and it is in stock? Great! You are almost there. Did I say to double-check your findings? Now is the time. Better be sure than losing your money. Repeat all 9 previous steps. Are these steps all to your likings? Yes? Now go for it! And be happy with your new gadget! If you have any questions you want to have me covered in next weeks blog about buying your phone in China, please leave a response in de comment box below. 8 replies to "10 steps to take before you buy a phone in China – Part 2"
lightinthebox could not accept card payment from my country. only via wire transfer and western Union. I was afraid to proceed with the transaction so I aborted it entirely. Lightinthebox is one of the better reliable shops. 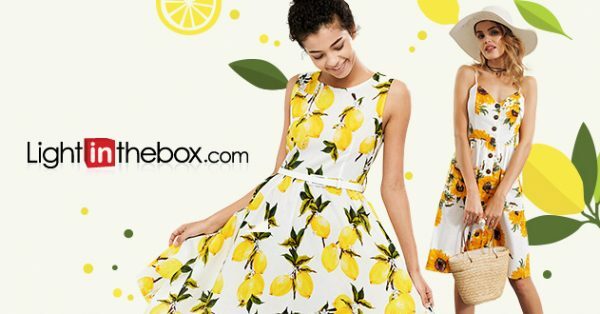 I have ordered many times at Lightinthebox and paid with both credit card and paypal. I don’t know why they ban credit cards in your country. Maybe they had a lot of troubles with some of the banks. Did you try Paypal too? the only 2 options were what I listed above. apart from that, nothing else including PayPal. you listed a couple of brands that you recommend but I also frequently see other brands like thl and cubot on different websites. what about them too? what can you say about it? I’ve read positive reviews about Cubot too. There are so many brands I had to make a choice. I selected the larger ones. This does not disqualify other brands. in this article, you mentioned that one of ways to check and double check before buying a product is to read reviews about the product. sometimes reviews can be deceiving because, it is not all reviews that are posted, some are deleted. the only site that I know of (if I’m not wrong) where feedback are not deleted is AliExpress. Hi Amos, You are right. The reviews on the shopping site can be manipulated. Bad reviews can be deleted. But there are also other platforms with reviews and experiences like androidforums. Chinese sites have no influence there. The same on this site. I do not delete bad reviews when a shops asks for this. Buy a phone from China? Be wise first! Learn the Cons and the Pros, what phones to buy, alternatives and more! Be safe an prepared for just a 7 bucks!